Counseling Omaha, NE: Caring and Competent. Find the right therapist near you. Counseling in Omaha, NE. Find the Right Therapist. Safe, effective, and caring. Affordable therapists near you in Omaha, Nebraska will help you make the changes you want. We all experience transition and times of intense stress. The good news is, we don't have to walk alone. Skilled in seeing individuals through a holistic lens, I encourage clients to tap into internal resources and listen to mind, body, and spirit. The decision to seek therapeutic help is never an easy one. It often comes at a time when most people feel hopeless, vulnerable, frustrated and unable to cope without outside help and resources. I strive to provide my clients the tools to become their very best! In therapy I want each person to experience freedom to be able to tell their story and show who they are without fear of judgement. We work together to create goals, taking into account not only issues that can be solved, but dreams that can be met. 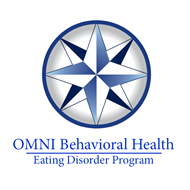 We provide comprehensive, individualized evaluation and treatment based on current scientific knowledge for individuals diagnosed with Anorexia Nervosa, Bulimia Nervosa, Eating Disorder Not Otherwise Specified, or Binge Eating. We also work with individuals who wish to establish weight maintenance or weight loss regimens. I am a Marriage and Family Therapist specializing in relationship issues, family conflict, divorce recovery, ADHD, depression, anxiety, and self-esteem issues. Feel free to call anytime if you have any questions about me or the counseling process. Steve Brownrigg specializes in the coordinated treatment of Adults with Co-Ocurring Disorders, including Substance Abuse/Dependence, Mental Health Issues and Childhood and other Traumas. Steve is Certified in EMDR by EMDRIA for his subspecialty of Trauma Resolution. Mission: To assist individuals, couples, and families with processing the challenges they face in life from a Judeo-Christian Worldview. The Grace University Counseling Center is a place of holistic healing where Christian counselors look at all areas of your life and the struggles you face to determine a comprehensive plan to resolve or manage your life’s issues. The link above will take you to our website which gives more details about the counseling center. It’s often easier to tackle challenging situations when we feel supported, encouraged, valued and understood. Whatever challenges you may be facing, I want to help support you. Omaha is located within the state of Nebraska and proves to be family-friendly. This area has plenty to offer for families with children and teenagers of all ages, as well as for couples and singles. The Henry Doorly Zoo is absolutely perfect for your next family outing. Here you will be able to walk through a simulated jungle, enjoy IMAX films, obtain an educational experience from multiple exhibits, and much more.1 The Heartland of America Park is another ideal location to meet your entertainment needs. Walk along the river or take a tour in a boat with your family members. This location also offers concerts during the summer months. The Joslyn Art Museum has a highly impressive collection of creative works by those such as Monet and El Greco. Omaha is located in Douglas County, Nebraska. It has a land area of 133.19 square miles and a water area of 3.52 square miles. The population of Omaha is 443,885 people with 173,764 households and a median annual income of $49,896. . While counseling can certainly be an expense for individuals and families in Omaha, with proper budgeting, it is entirely do-able and the risk/reward is worth it. For some families, it may be difficult to sustain a commitment to therapy without proper insurance coverage. If this is you, ask your therapist about low cost options as practitoners in and around Omaha may have flexibility or sliding scales. Low cost counseling and affordable therapy are also sometimes offered by listed city and university level clinics, check with your local Omaha public health department.